A dog wasn't sure how to handle his newfound fame, so he bit the reporter's mic. 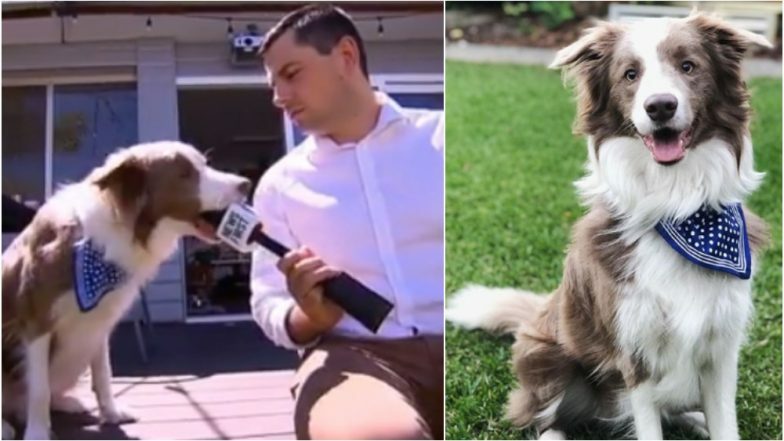 Network 10 Perth reporter Beau Pearson asked Border Collie Stanley how he was coping with fame. The dog replied with a bite on his mike and ran away with the sponge on it. Pearson who was left helpless, couldn't stop himself from laughing. Network 10 Perth then posted a video of the incident and jokingly said, "Hey @stanleythecollie, don't eat that mic foam! It's bad for your tummy! Stick to the tennis balls... @beaup35 #dogs #fetch #goodboy #nomnom #perthdogs #celebrity #mediatraining." Sharing pictures from the interview, Pearson took to Instagram saying, "A tail of two Stanley’s. One handsome, well trained and an internet sensation. The other, just handsome." And Stanley too shared video his one-of-its-kind interview on Instagram saying, "Pearson Stanley is in need of some media training." Watch Funny Videos of Cute Puppies to Brighten Up Your Weekend. One of the comments on Stanley's post reads, "We loved Stanley before he was an internet sensation!! We saw his star potential from the start." Another Instagram user says, "Never put anything ball like in front of this boy. He just can’t help himself!" Stanley regularly updates his Instagram pages with videos of his 'ball catching' practice. He often poses for the camera making his fans go awww. We wish Stanley greater success and hopes he becomes an international sesnsation.